I personally use this type of mortgage and account set up with my own money. Many of my clients do, too. It's actually becoming a very popular type of mortgage set up due to the many advantages; however, make sure you talk with your accountant, financial adviser and mortgage broker before you run into any large financial products like this! If you had a mortgage of $500,000 and the interest rate was 4.60% - the annual interest you would pay would be $23,000. If the same mortgage had an offset account and there was $100,000 sitting in this account, you would only be charged interest on $400,000 or $18,400. Using this scenario - that's a saving of $4,600 per year. This $100,000 in the offset account would not earn interest at all - you just wouldn't pay interest on that part of the mortgage. If the $100,000 was in a stand alone savings account earning 1.5% interest - you would have earned $1,500 interest. 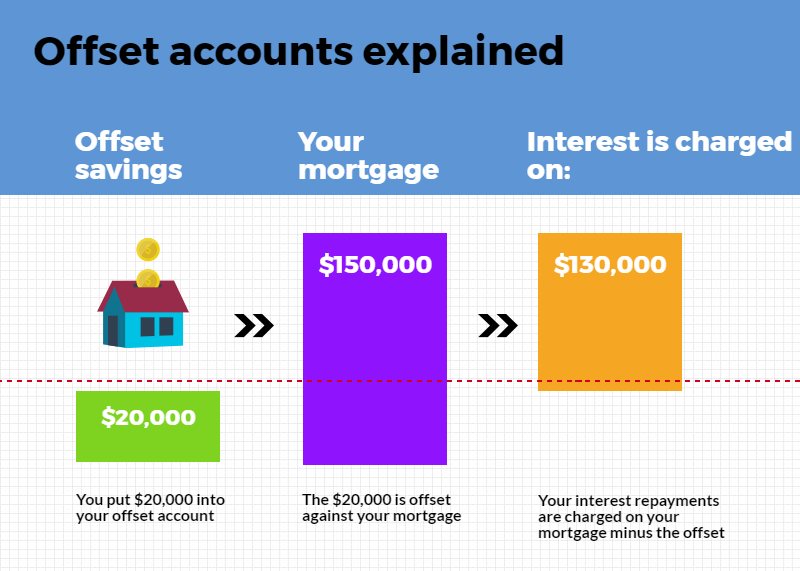 So the actual benefit of the offset account is $3,100 ($4,600 less $1,500). The true advantage is that you have effectively earned $4,600 of interest tax free by using this offset account, as you would have to pay tax on your $1,500 earned. I found the below picture on finder.com which explains it well. My current home is a 3 bedroom, two car garage townhouse. I purchased it brand new with no intention of ever selling it (it's like 2 streets away from the beach in Blue Bay, NSW). I have a product which allows unlimited offset accounts which help reduce the interest I pay. I use my offset accounts as savings for tax, gifts, holidays etc and my cash hub! Offset accounts: manner from heaven! Remember - get advice. Do not do something a guy from the internet does as it's not going to be the same for your situation.